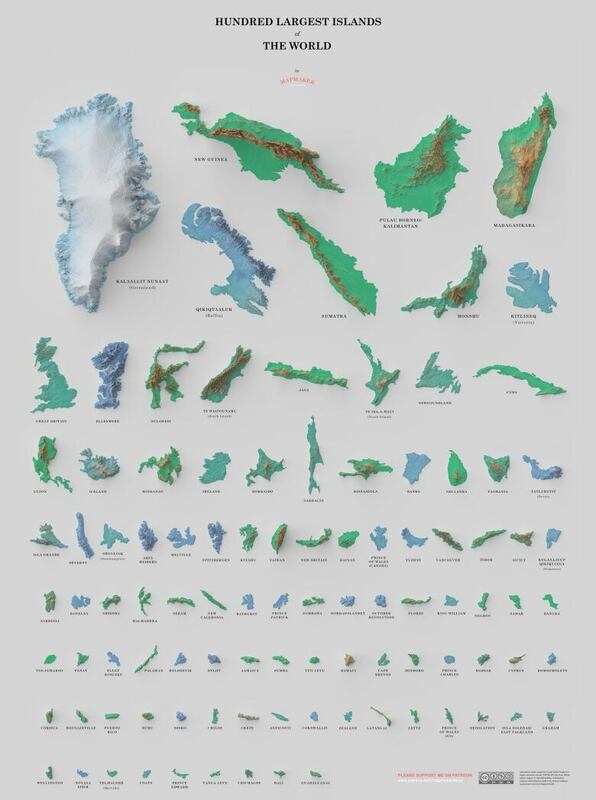 Almost a quarter of the islands on a new poster of the world's 100 largest are in Canada, which came as a surprise to the cartographer that created it. "I had this idea of vast plains and tundra and a few large cities, like in B.C. 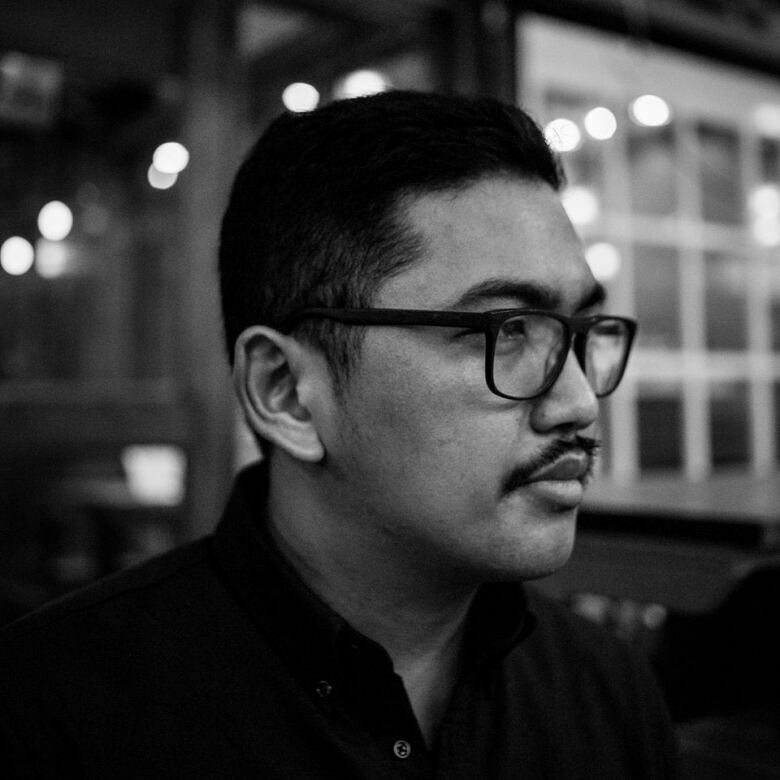 where half of my family lives, but I didn't expect there were so many islands in the arctic," said David Garcia, a cartographer from the Philippines who is currently working on his PhD at the University of Canterbury in New Zealand. There are 24 Canadian islands on the poster, from Qikiqtaaluk (Baffin Island) at number five to Prince Edward Island at number 96. The islands are faithfully represented in their relative size, and include topographic details. The idea started as a personal project for Garcia, with a poster of the largest islands in the Philippines that he created for his friends. The project attracted a lot of attention, so he did another one of southeast Asia. When the U.K.'s Ordnance Survey picked up on the idea and did one for the U.K., Garcia realized he was on to a popular idea. "I just thought let's make one for the whole world," he said. "It's not so easy. I thought it was easy at first." He got data from NASA and Open Street Map to create the maps. That wasn't so difficult. 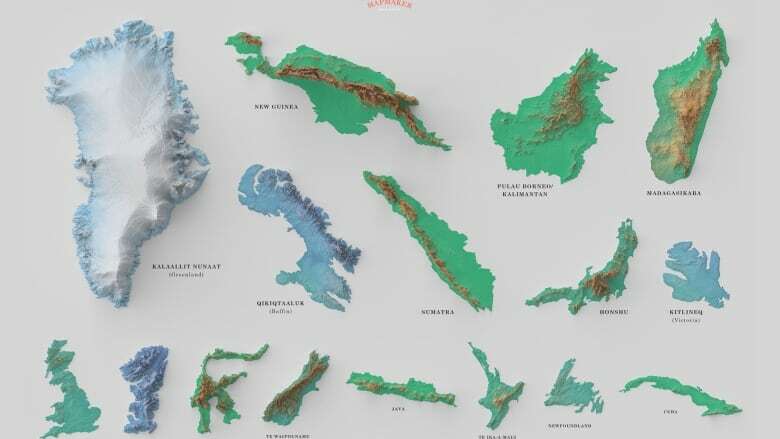 "The difficult part was to make sure that the names of the Islands were correct, because apparently some Islands the names are contested, or they have two or three names," he said. That includes the world's largest island, Kalaallit Nunaat, perhaps better known as Greenland, and Canada's largest island, Qikiqtaaluk (Baffin Island). And then there was the Australian controversy, because many Australians would have liked to have seen their country listed as the largest island. "I excluded Australia from the list because I think it's a continent, and it's too large for the poster," he said. The list is only definitive for now, because our knowledge of the world's islands is not static. His home country recently added 500 islands to its own list, making a total of 7,641. Free digital copies of the map can be downloaded from Garcia's web site, or paper copies ordered for $50.